Much conservation news can be negative and disturbing. All too often it’s about another threat to nature and wild places. This can present conservation as a dour and depressing subject and can easily make people turn away. Such news needs balancing with a positive approach that is attractive and forward-looking. Not just trying to defend what remains but also looking to expand and renew it. This approach is expanded in George Monbiot’s excellent book Feral – you can read my thoughts on it here. Now Feral has inspired a new organisation, Rewilding Britain, whose ambitious aim is ‘to bring about the mass restoration of ecosystems in Britain’. Great! We need the optimism of big dreams like this. 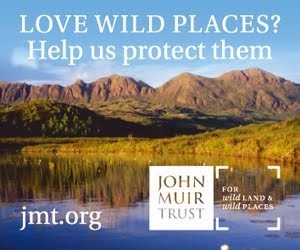 Of course rewilding is taking place in many places already (Creag Meagaidh, Abernethy Forest and Glen Affric amongst them) and is promoted by many organisations such as the John Muir Trust, which recently won an award for woodland regeneration on its Knoydart estate, and Trees for Life , which is restoring large areas of forest. Both these bodies support Rewilding Britain. At the same time as rewilding has had another push – and the idea of bringing back animals like wolves and lynx ensured that the launch of Rewilding Britain received masses of media coverage – there has also been good news regarding the threat to wild land from wind farms. 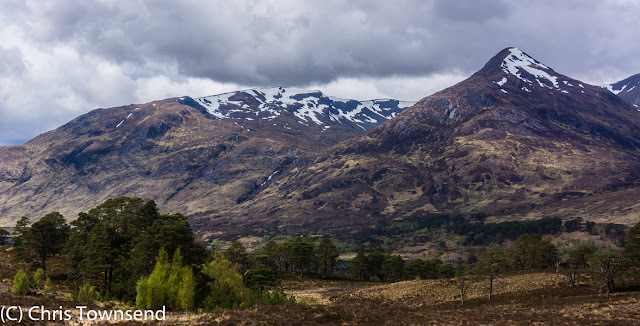 Two schemes that would have been very damaging have been rejected - Beinn Mhor near Glen Affric and Limekiln in the Flow Country in Caithness - with landscape values prominent in the reasons given. I hope that this means that the proposed wind farms at Allt Duine in the Monadhliath mountains, Talladh-a-Bheithe on the edge of Rannoch Moor and Glen Cassley and Salachy in Sutherland will also be turned down on the same grounds. It would be illogical not to do so. 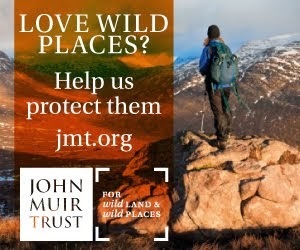 (The John Muir Trust has a campaign on the Sutherland proposals). 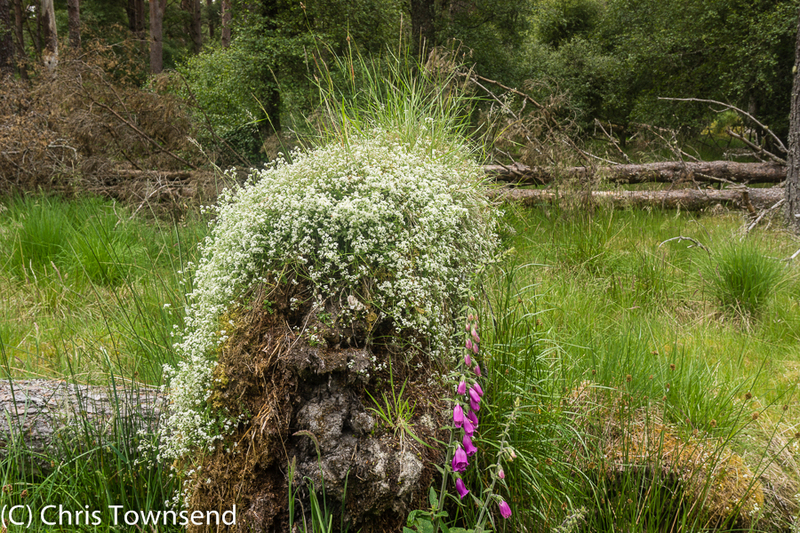 Whilst rewilding is essential we also have to protect what we have. Papers, books, discussions, meetings can easily come to dominate and there’s always a danger of losing touch with the reasons for them, losing touch with nature itself. Going out and refreshing your spirits in the forests and mountains is also essential. This year the natural world seems particularly profligate. Wild flowers abound in vast numbers. I cannot remember seeing so many before. Meadows are covered tormentil, eyebright, clover, daisies; buttercups and more; great swathes of colour below the nodding grasses. In damper areas ragged robin and orchids form huge colonies. Foxgloves line stone walls and woodland edges. 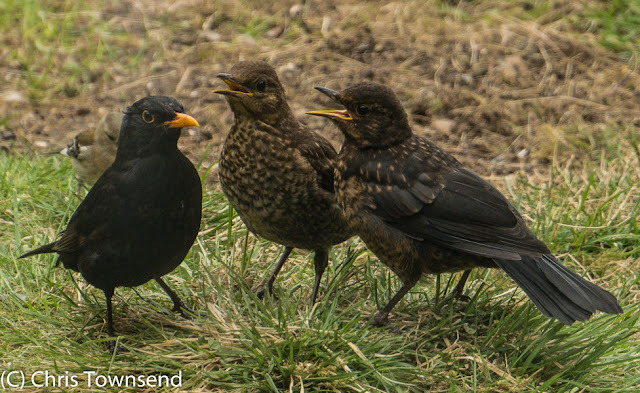 Animals and birds are breeding in large numbers too. We’ve lost count of the number of baby rabbits we’ve seen in the garden and there have been young squirrels too and many juvenile great spotted woodpeckers, greenfinches, blackbirds, robins and more. For the first time we’ve seen young goldfinches on the feeders too. 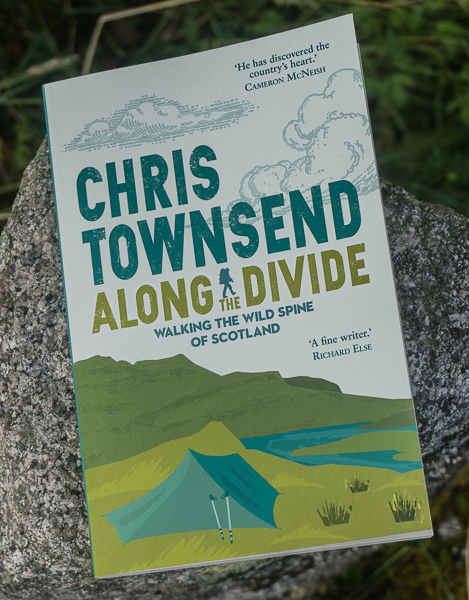 Rewilding leaves me with mixed feelings, partly because any mention of the subject tends to include iconic species. I would be reluctant to wild camp in an area with loose wolves, for example. Another aspect is the way walking terrain is modified. The secondary growth behind the fences in Glen Affric would be very hard to walk through - definitely O-fight. But the Highlands are a bit of a green desert and increasing biodiversity by measures such as those at the Heights of Kinlochewe are welcome, not least because they should result in a more scenic landscape. 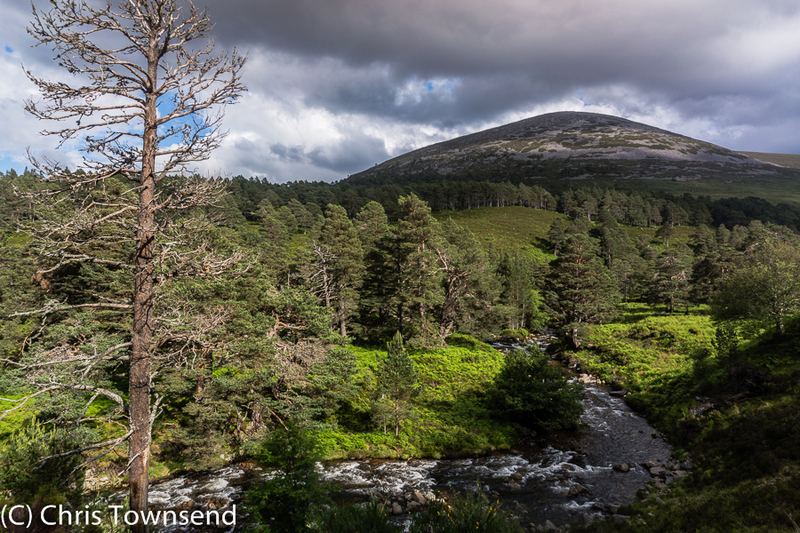 If rewilders not only championed the use of seeds from appropriate sources but also restored paths as has been done between the Heights and Lochan Fada instead of talking about iconic species, I'd find it easier to support such schemes. As far as windfarms are concerned, the large windfarm near me often isn't generating anything on apparently ideal days. Perhaps the Scottish industry is finding their electricity hard to sell. The French nuclear industry may be killing Scottish renewables. I too saw goldfinch chicks on a bird table, sadly not mine. Althgough food was round their feet, they were begging. Thier wing shaking must be very effective because birds from other species occasionally fed them. John, thanks for your comments. I am very much in favour of rewilding, as you probably realised. I don't think wolves would be a threat. I've walked thousands of miles solo in wolf country in North America, seeing them only twice and hearing them a few more times. They avoid people. In many European countries they live alongside people. New growth is difficult to walk through and good paths are needed, as in places in Glen Feshie, unless you want to fight through the undergrowth. I'm happy to accept this for greater biodiversity and a healthier ecosystem. At the moment rewilding is being carried out by various bodies - the John Muir Trust, Trees for Life, RSPB, Forestry Commission. They do co-operate but I'd like to see them doing it more.